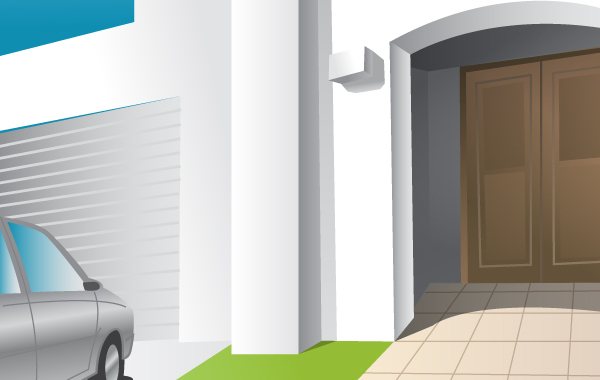 Nice vector house entrance with parked car and wooden door. Modern building with minimalistic style. Under Creative Commons 3.0 Attriubtion License. Enjoy!